I am frequently asked about what a deacon is supposed to “do” at Mass. While who a deacon is goes well beyond what he does in the liturgy, his specific, seemingly minor roles at Mass are far from arbitrary. Rather, they bring to the forefront the church’s fundamental call to loving service. One example of this is the prayer of the faithful at Mass. In parishes that have a deacon, the people have probably noticed that when the deacon is at Mass, he is the one announcing the intentions, and not the lay reader. Why? Well, clearly the lay faithful can read the petitions when there is no deacon at Mass, but this is one of those “specific, seemingly minor roles” that the church assigns to the deacon. As part of his threefold ministry of word, liturgy and charity, the deacon provides a crucial link between the priest and the laity. In ministering to the people of the parish and working alongside them, he perceives their material and spiritual needs and brings them to the attention of the community, especially during the prayer of the faithful. For that reason, it is fitting that the deacon should write the petitions himself or work with worship teams in doing so. Either way, it should be understood that this is an essential part of the deacon’s liturgical ministry. 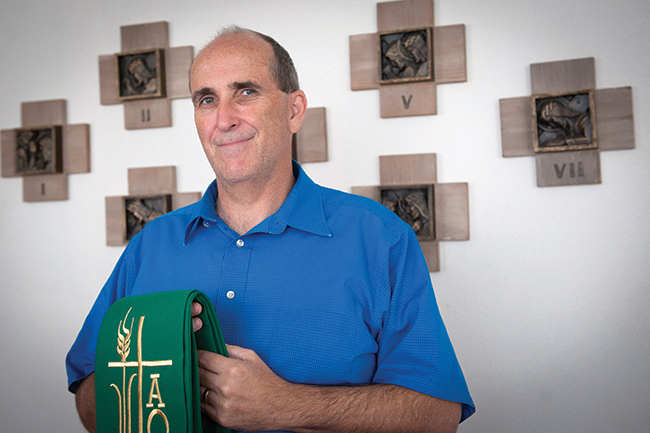 Deacon James Keating writes that the deacon’s role in the prayer of the faithful involves seeking to voice the deepest desires, wounds and hopes of the community. In other words, this prayer should emerge from the “spiritual eyes” within the heart of a deacon. It is often said that the deacon has a foot in two worlds — one in the church and one in the secular world. He is a bridge between the institutional church and others who are coming to know Christ. The deacon brings the poor to the church and the church to the poor. On the one hand, the deacon, as the church’s representative, helps to bring Christ in word and sacrament to the faithful. On the other hand, the deacon represents the people of God and walks alongside them to help them unite their lives to the offering of Christ and to pray for the salvation and well-being of all. Lastly, there’s an important correspondence between the deacon’s role as a herald of the Gospel and his role as an articulator of the needs of the church in the general intercessions. He not only proclaims the Gospel, but also listens to and voices the response of the faithful to the Gospel.